You can’t have a complete kitchen without these Star Wars kitchen gadgets. These are just a few of the gadgets we’ve found around the web that we think any true Star Wars fan can’t live without! When baking some Star Wars cookies, you need a good oven mitt. 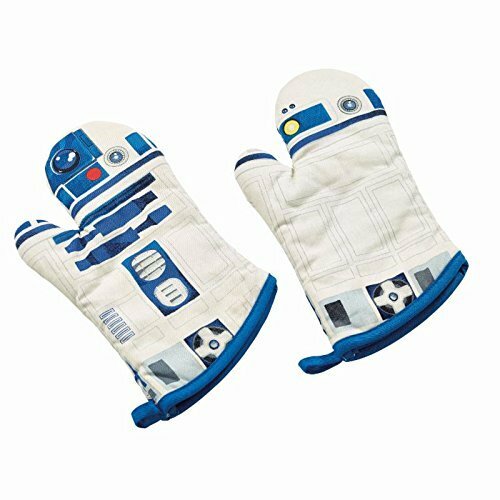 Like this Star Wars R2-D2 Oven Mitt. Let a droid protect you from the heat of the oven. This droid glove will keep your hand safe from the heat and have you reaching for hot meals in style. It is modeled after R2-D2’s look from the original trilogy. 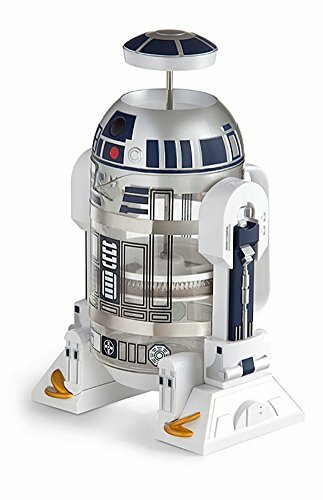 It makes a cool gift for Star Wars fans who like to bake and cook. The BB-8 Measuring Cups feature the newest astromech droid from Star Wars Episode VII: The Force Awakens. These cups are proof that BB-8 doesn’t just have a lighter in that ball of a body, but a whole set of cups you can use for cooking. The little guy is ready to help stop The First Order at any cost, even if it means he has to help you make a fruitcake. BBQ Grill, I am your father. 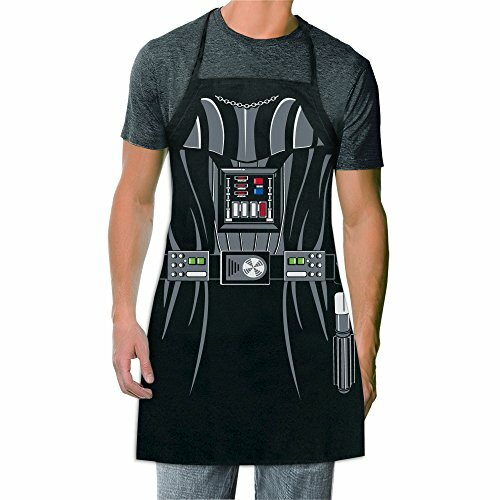 With this Darth Vader apron, you can harness the powers of the dark side to serve up that perfect hamburger to your neighbor you really don’t like that much. We’ll admit it. We got a little misty while watching Star Wars: The Force Awakens. And one of those moments was when Han Solo and Chewbacca first stepped back on their old “hunk of junk” and Solo intoned, “Chewie, we’re home.” Sure, we’d seen it in the trailers. But it was something special in the movie. A moment of triumph for moviegoers, 30some years in the making. We, too, were home. Bring the fastest hunk of junk in the galaxy to your place with this Star Wars Millennium Falcon – Coaster Set. A set of 6 glass coasters, each features a cross-section of details from the Falcon herself. When stacked together, they build the ship in 3D. And individually, they protect your surfaces from condensation. That’s a win either way in our books. Also, once you have these in your hand, come back here. We’d like to geek out a moment with you. How did we know that these coasters were post-original-trilogy? These are just a few of our favorites that we’ve featured on our site! You can view our full collection of Star Wars kitchen gadgets here.